Two anti-BDS resolutions are now making the rounds in the House that attempt to legitimize Israel's illegal settlements. Efforts of the Israel lobby to derail BDS (Boycott, Divest, Sanction) in the United States have been relentless and largely successful. 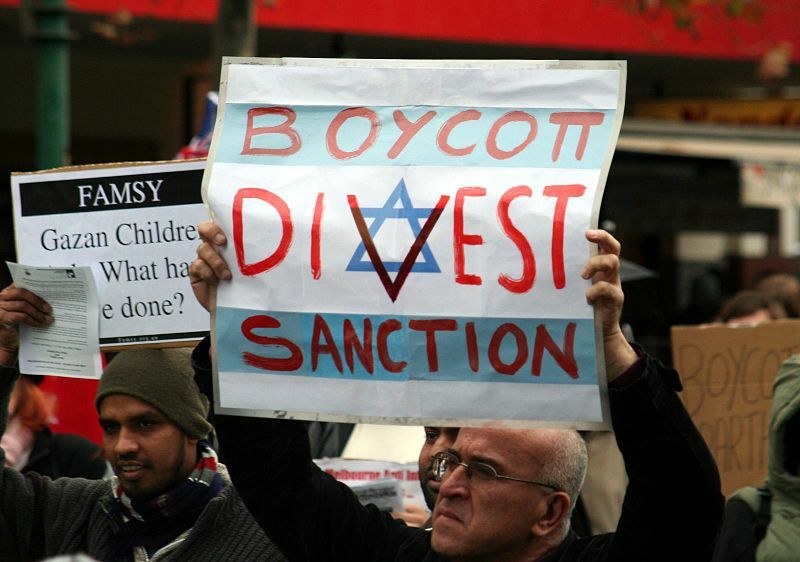 Over the past year, state legislatures in Tennessee, Indiana, Illinois, South Carolina, Massachusetts and New York have enacted laws or passed resolutions to curtail BDS as a means of securing Palestinian rights. The Trade Facilitation and Trade Enforcement Act of 2015 (H.R.644), now nearing a final Senate vote, contains similarly harsh anti-BDS language. For example, Section 908 (f)(1) defines BDS as actions intended to penalize or limit relations “with Israel or persons doing business in Israel or in Israeli-controlled territories.” In other words, the bill extends U.S. trade protection not just to Israel, but also to its continued occupation and settlement of the Palestinian Territories. By its language, the bill assumes U.S. recognition of the settlements. House Resolution 567 introduced last December by Rep. Nita Lowey of New York, which has already attracted some 18 co-sponsors, attacks the November 2015 decision of the European Union to require products made in Israeli settlements to be labeled as such. In the words of the Resolution, the House “expresses opposition to the European Commission interpretive notice regarding labeling Israeli products and goods manufactured in the West Bank and other areas….” As if to create an illusion of rationality, the bill adds: “as such actions undermine efforts to achieve a negotiated Israeli-Palestinian peace process.” Moreover, the bill ignores the fact that the EU labeling rules are not a form of BDS since they do not prevent any goods from coming into the European Union. Even if there were a peace process underway, it’s hard to see how BDS would undermine it. Indeed, it was official U.S. sanctions and corporate disinvestment that played a major role in dismantling apartheid in South Africa and in prompting the release of the imprisoned Nelson Mandela. The Comprehensive Anti-Apartheid Act of 1986 amounted to a rejection of President Reagan’s failed “constructive engagement” policy in favor of stiff sanctions and corporate divestment that coalesced into a global movement. The lesson is that BDS works when governments cooperate in it. The worldwide BDS campaign, now ten years old, simply seeks to secure Palestinian rights through the legitimate exercise of economic and political pressure, as was accomplished successfully in the case of apartheid South Africa. Surprisingly, H.Res.567 fails to take into account existing U.S. labeling laws from 1995 and 1997 that are similar to those adopted by the E.U. notice. Contrary to the proposed House resolutions, U.S. law requires that goods from Gaza and the West Bank be labeled as such. Why berate the Europeans for trying to do what U.S. law requires us to do? More insidious is the Resolution’s implicit linking of the West Bank settlements to Israel. To label settlement products as “from Israel” is to portray the settlements as a part of Israel, which they are not (according to both international law and prevailing world opinion). A Senate bill (S.2474) introduced earlier this month by Senator Tom Cotton and cosponsored by Senators Marco Rubio, Ted Cruz and Corey Gardner, would reverse U.S. labeling policy by allowing goods “produced or originating” in the West Bank and the Gaza Strip to have their country of origin markings include “Israel, Product of Israel and Made in Israel.” Like H.Res.567, the bill portrays the settlements as part of Israel—by implication endorsing the settlements. Israeli settlement of the West Bank, East Jerusalem and the Golan Heights has been denounced by every U.S. administration since 1967. The settlements have been judged illegal under the Fourth Geneva Convention, by the International Court of Justice and by multiple resolutions of the U.N. Security Council (in particular U.N. Resolutions 446, 452 and 465). While anti-settlement views have never been the subject of any Congressional Resolution, since 1974 Members of Congress have introduced some 300 Resolutions critical of Palestinian conduct. It’s time for Congress to recognize the legitimacy of BDS as protected speech under the First Amendment and soundly based on Israel’s gross violations of human rights. Furthermore, the U.S. should reiterate its longstanding anti-settlement policy and back it with a credible readiness to suspend U.S. military aid. H.Res 567 is ill-informed and unhelpful. It should be rejected. Instead, Congress should pass a resolution that (1) affirms the State Department’s determination that Israeli settlements are an obstacle to peace and a violation of international law, and (2) encourages the President to suspend military aid if Israel maintains and expands its illegal settlements.